Once you know that the opening of your daycare center is imminent you may think that it is time to start planning your grand opening. Before you start this though there are a few things you will want to look at first. You want to make sure that you will be offering not only the right services, but also able to be financially successful. There are various business policies that you will need to keep in mind in order to do this. 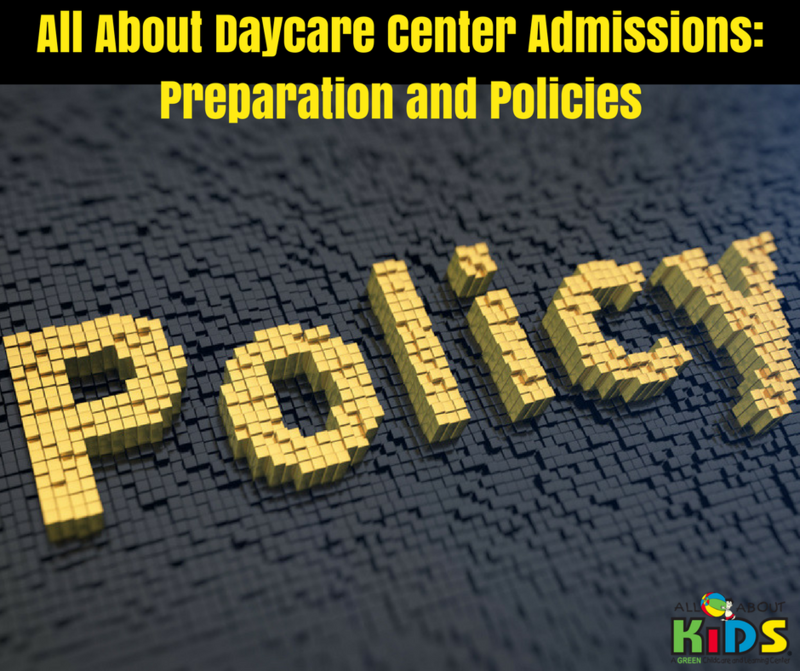 Even if you are running a childcare center in a small town that you have lived in all your life, you will still need to know how to handle this professionally. You need to put serious consideration into the children that you will accept into your Florence Kentucky daycare center. Now this may be mandated by your franchisor but if it is not, this is something that you should be aware of. One of the aspects you will want to think about is children with disabilities and what you will accept. The range of various disabilities is vast as some are very minor while other can be very severe. Some of the disabilities you will want to consider are asthma, ADD/ADHD, autism/aspergers, hearing problems, diabetes, severe food allergies, and more. The thing to remember is that you cannot discriminate against a child for their handicap no matter what it is. However, you do have the right not to provide care for their child if you do not have the resources to accommodate the disability. Some of the things you may need include wheelchair accessibility throughout the facility, doorknobs that are accessible, and so much more. You will need to take not only every disability, but every individual case into consideration to see if you can accommodate their needs in your Florence Kentucky daycare center. According to the Americans with Disabilities Act if the child has reasonable needs you will have to make an effort to provide for them. The only time you can turn away the child is if they need more equipment then you are capable of purchasing and maintaining. You should also know that children with disabilities will need extra attention from your staff, so you will need to have additional staff or smaller class sizes as a way to provide the care needed. This is another area that the ADA allows for you to deny care to a child at your Florence Kentucky daycare center if the care needed is beyond your means. Another aspect to consider when deciding which children you will accept and those you will not is the personality. This can be a little tricky though you do not want to discriminate against a child or family. However, if you think that there may be some issues down the road then you can deny them. You just need to make sure you provide a clear answer of this in writing to the parents so they cannot come back and sue you and your Florence Kentucky daycare center for discrimination.